I love when I get the opportunity to dine at a new hotspot before it gets reviewed by the New York Times restaurant critic. 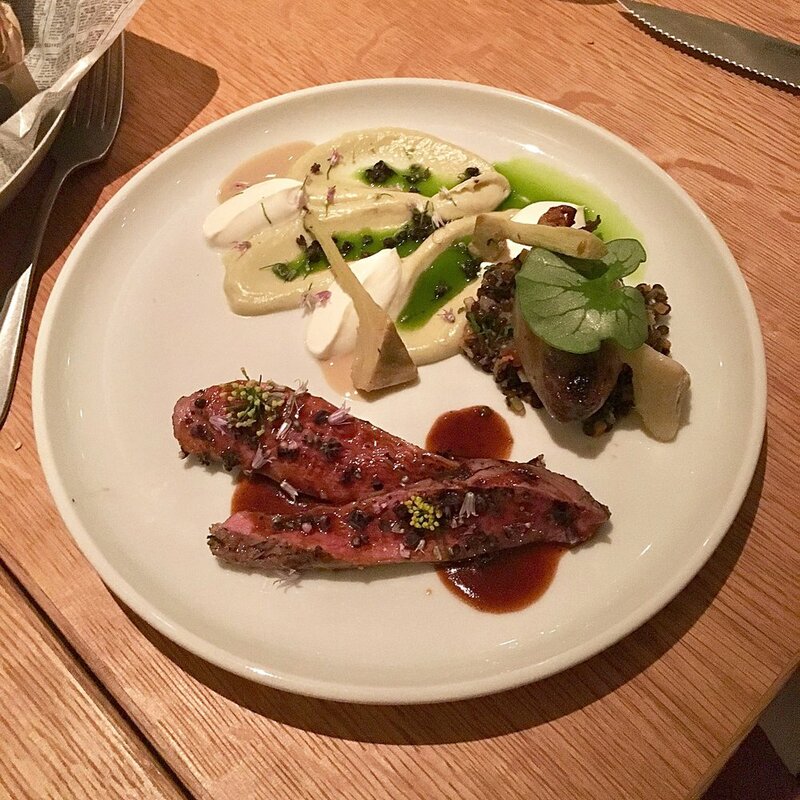 When Pete Wells' review of a particular place is overwhelmingly positive, as was the case for Nur, reservations can become extremely hard to come by going forward. 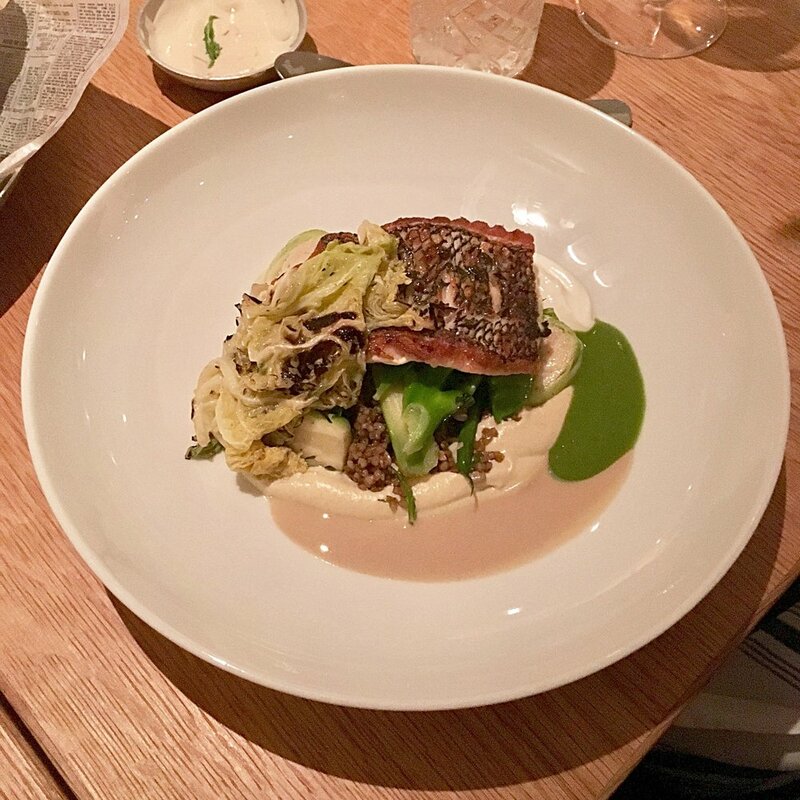 Luckily, I got to experience a deliciously unique meal at Nur with my husband and in-laws a few weeks before the two star review was published. I'd heard such great things about this new Middle Eastern restaurant, not to mention drooled over all the Instagram-worthy food pics, that I immediately booked a table when I found out we were going to be entertaining family. 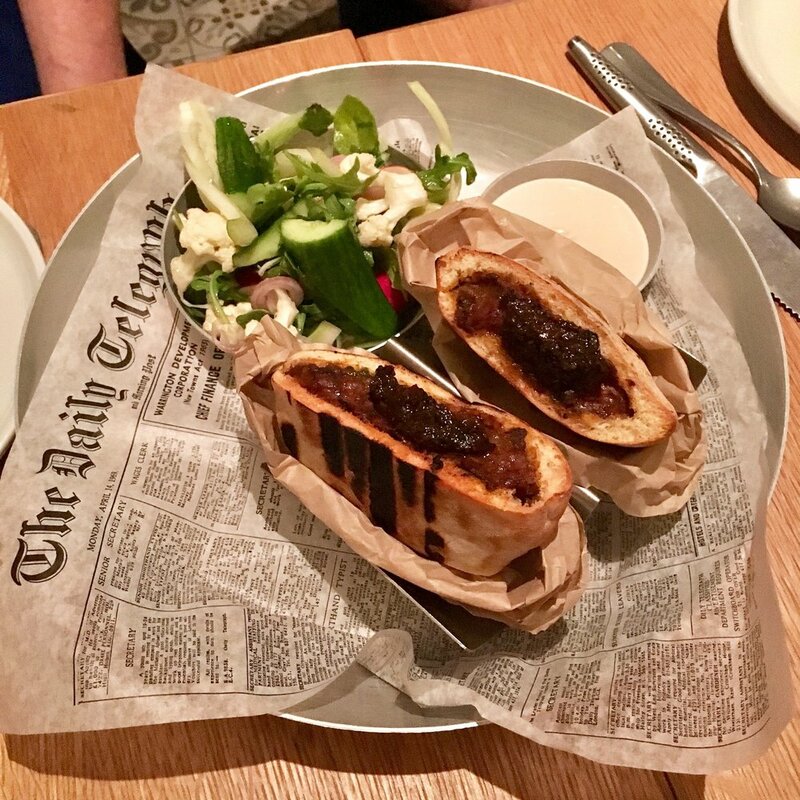 The cuisine at Nur is influenced by the vibrant flavors of the Middle East, but with a modern twist, giving it that bold edge that's perfect for New York City. I love that the chef plays around with the classics, and can draw from both street food and fine dining dishes to create a truly memorable meal. Some highlights for me included the buzzed about Jerusalem sesame bagel and smoked eggplant carpaccio, which are delicious paired together as well, by the way. The date doughnuts, despite sounding like a delectable dessert, were perfectly savory and just bursting with caramelized flavor. Lamb is typically my preferred meat of choice (I find it even tastier with Middle Eastern flavors and spices), and in my opinion, there's not much better than freshly baked bread. Enter the Horias, lamb kebabs that are actually grilled inside a pita, with eggplant and pine nuts. I could really go on an on, as all the seafood entrées were delicious as well. Not one to skimp on dessert, especially when I knew they would be as delicious as they were creative, I decided to order two! Cardamom chocolate and halva rocks, crispy Jerusalem artichokes, smoked yogurt ice cream, amarena cherries, and candied pistachios were all involved, just to give you an idea... Click through the slideshow to read more about all the creative dishes! Nur is one to add to your must-try list immediately- just try to plan ahead and book a table beforehand if possible!